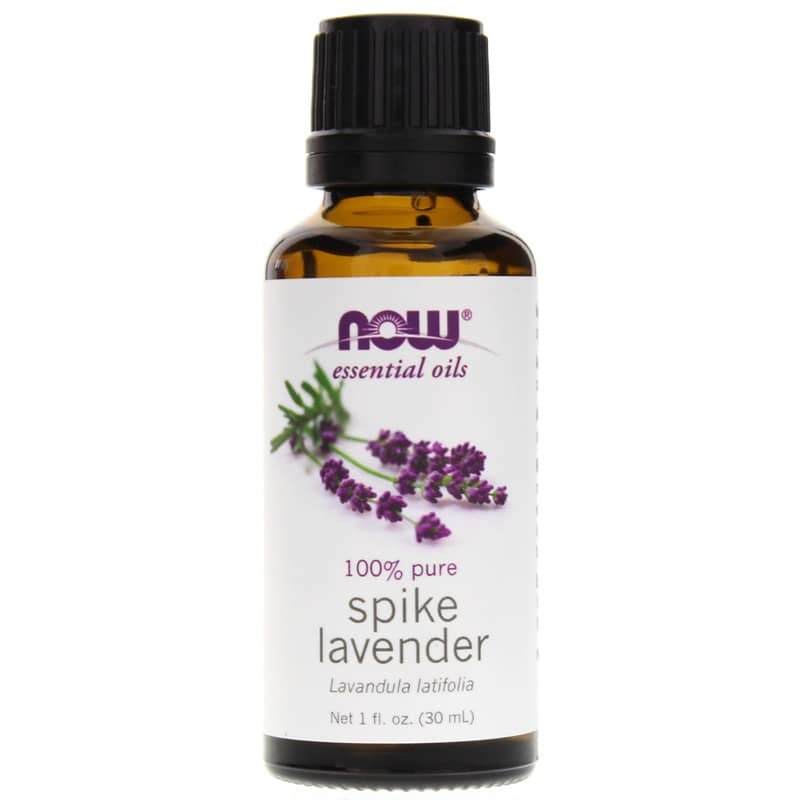 Spike Lavender (Lavandula latifolia) by NOW Foods is a 100% pure essential oil with a fresh, spicy, floral, camphoraceous aroma. Ships tomorrow if you order in the next 19 hours 26 minutes. Aromatherapy has become a popular way to naturally balance and harmonize the health of our bodies, minds and spirits. Spike lavender oil is generally obtained from the flowering tops/buds of the plant. It tends to have quite a bit more camphor than other common lavender oils. 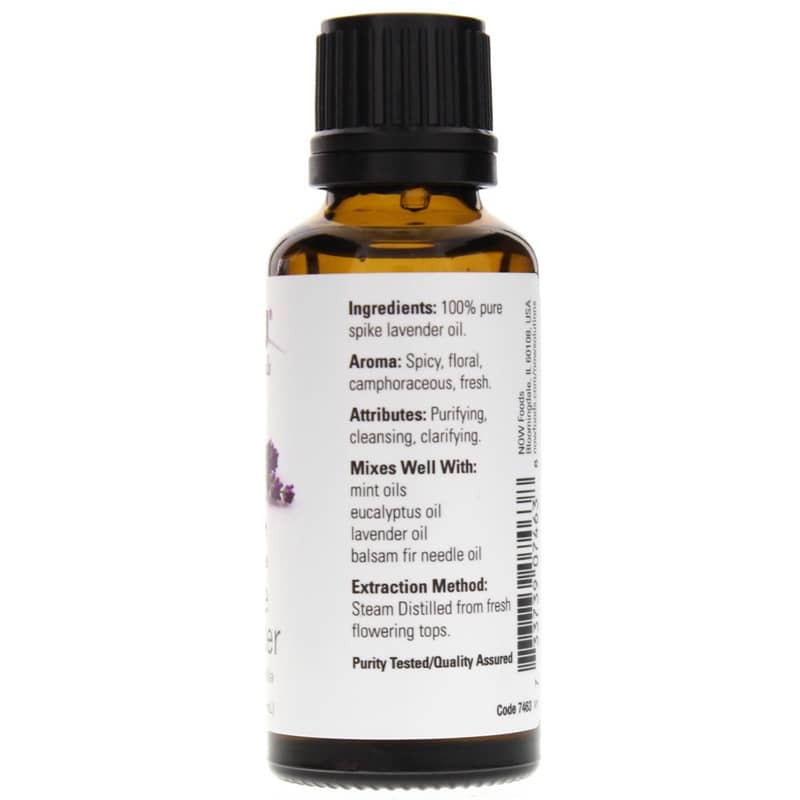 Spike Lavender mixes nicely with balsam fir needle oil, eucalyptus oil, lavender oil and mint oil. Please remember that natural essential oils are highly concentrated. 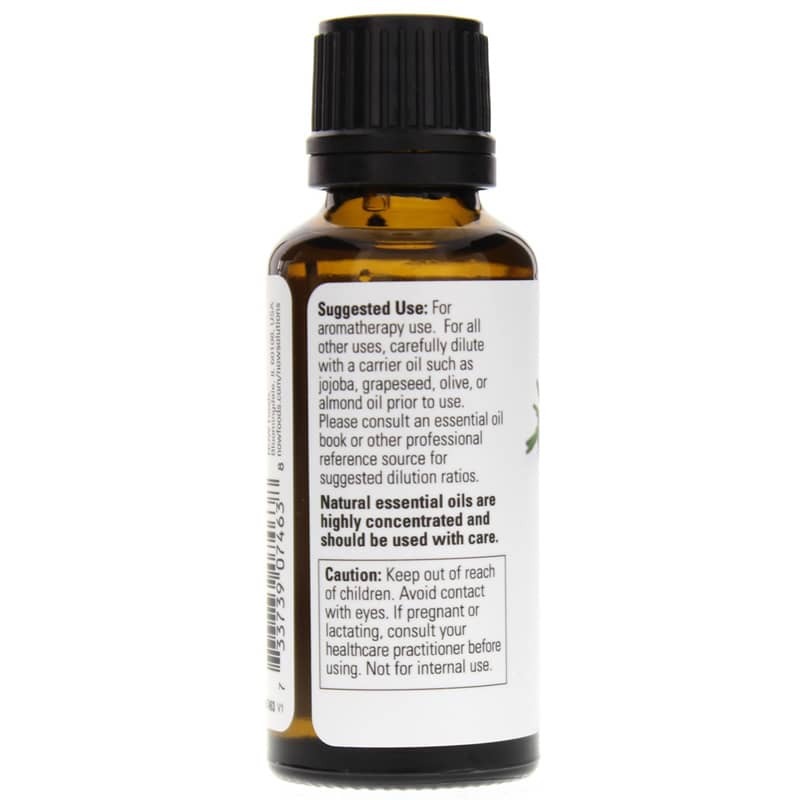 Be sure to dilute with a carrier oil before any use aside from aromatherapy. If you're looking for a 100% pure essential oil with cleansing, clarifying and purifying attributes, consider NOW Foods' Spike Lavender. Keep out of the reach of children. Avoid contact with eyes. If pregnant or lactating, consult your healthcare practitioner before using. Not for internal use.